Passport with 6 month validity and 2 blank pages. A photocopy of our passport. A completed and printed online visa application form, including an uploaded photo. 1 passport photograph 2×2 inch, a normal size passport photo will not work. A copy of our Myanmar Visa. If the entry stamp is on a different page to the visa this needs to be photocopied as well. 164 US Dollars, if you are British, its cheaper for other nationalities. They must be crisp clean bills with no rips or folds. The day after we arrived in Yangon the embassy was shutting for 3 days due to the Shwezigon Pagoda Festival. We decided to leave straight away and apply at the end of our trip round Myanmar in order to not waste time. If we would have stayed in Yangon over the festival, we would have to spend another 3 days at the end anyway, whilst our visa application was processing. This actually worked out quite well. It meant we had the time whilst we were travelling round Myanmar to get together all the documents and things we needed, in order to apply straight away when we got back to Yangon. This blog will tell you where to get all your documents and photographs in Mandalay, before arriving in Yangon to apply. It’s not ideal but it worked well for us. As I am British the visa was going to cost me $162 plus a $2 processing fee. This is extortionate compared to other nationalities in Europe, where it costs a total of $42. I couldn’t find anywhere that would dispense USD so I withdrew Kyats from an ATM then tried to change it up. I went into a bank and they all just laughed at me, even though there was a currency exchange section inside. I decided that this wasn’t the best option so, after a recommendation from the hostel, I went to Top Shine Money Changer. This is located on 29th street, between 83rd and 84th street. That will make sense once you are in Mandalay, the streets are numbered vertically and horizontally. You will see a big neon sign saying Top Shine with an arrow pointing you down an alley. It is located at the end of the short alley and we had to knock on the gate so they would let us in. We were ushered in to a small room and I explained what we needed. They used an up to date rate, obviously keeping a little bit of money for themselves, that’s always the case with money exchange. We were given $164 in crisp, clean, unfolded bill’s, which they put in a little envelope and sent us on our way. Step one was complete. We then went to get 2×2″ photographs taken, as the Indian Embassy does not accept standard passport photos. Sakura Print Shop is located on 36th Street, between 81st and 82nd street. After explaining what we needed they took us upstairs and we had our photos taken. We were then asked to wait downstairs and 10 minutes later we were presented with 6 photographs of the correct size which cost 1500 Kyat (£0.94). We then got a photocopy of out passports and visa at the hostel, so all that was left was to complete the online form. I had completed the form on my kindle but was struggling with uploading a photo as it needed to have certain specifications. It will ask for your current address, permanent address and address in India. For the current address put the address of the hotel you will be staying in Yangon. For the permanent address put your address in your home country and for the address in India put an address from a hostel in the city you said you would first visit. I managed to eventually find an internet shop opposite Cafe Blue, on 63rd street, in between 29th and 30th street. Here they had a scanner, allowing me to use the same 2×2 image I just had printed, on my online application. The image has to have a white background, have been taken within the last 6 months, be a JPEG file, more than 250 pixels and be no more than 1GB in size. In order to change the size, pixels and gigabytes right click on the image and open it in paint and have a fiddle around, you’ll work it out. You can then upload your picture and you are good to go. Once submitting the form it downloads as a PDF file to print. If you are on Internet Explorer it won’t work, but Mozzila Firefox will. Don’t bother getting the form printed at this internet shop, their printer quality is absolutely rubbish. Send yourself the PDF file in an e-mail so you can print it back at a hostel. We arrived at our hostel in Yangon, after a night bus from Inle Lake, at 06:00. We left for the embassy at 07:35, even though we knew it didn’t open until 09:30. There were already 3 foreigners waiting but I couldn’t see anyone else. We popped over the road for a coffee and some breakfast and saw people starting to turn up. At 08:15, whilst waiting on the benches outside the embassy the security guard came out and told us that we couldn’t wait on the benches until 08:30 and that we had to cross the road and register on a piece of paper a random guy was holding. We were numbers 30 and 31 on the list. When we arrived back outside the embassy all the seats were taken, brilliant. At 08:40 we were given 2 forms by the security guard to write down the value and serial number of the dollars we had. On one page $162, on the other page the $2 processing fee. It was quite awkward to do in the wind with nowhere to lean, not wanting the $100 bill to fly away or get creased or torn. After we had eventually finished the security guard smiled at us and pointed to a ledge we could have leant on, brilliant. He then said that only 8 foreigners a day could have a visa issued, I could count at least 10. At 9:00 people started forming a queue which we weren’t allowed to be in and this continued happening for another hour, people being let in every now and again. After an hour and a half, when all the locals had been and gone, they finally moved on to the foreigners, 3 and a half hours after we first got there. There was no mention of the piece of paper we had registered on, I think this was so we gave up our seats for the locals. Me and holly were the first 2 foreigners through. Once inside we were offered a seat by a gentleman who goes through your form and passport, and scrupulously checks every single note for a tiny bend or tear. Thankfully ours were fine. We were then sent to the other side of the room in a moving sitting queue. Every time someone went up to process their visa, everyone would get up and move to the seat on their right. We were eventually served and given a receipt and told to come back for biometrics on Friday at 15:00, a full 100 hours after we applied, not the 72 hours which they originally told me. It turns out that they served 11 foreigners that day. After 8 of us were inside the security guard came in, counted the people and then had a chat with the desk clerk. She nodded and then in came the final 3 people. I think this was just luck on the day, I don’t think the visa staff even really know what’s going on. On Friday, a full 4 days later we turned up at 14:30 ready for our biometrics at 15:00. At 14:45 all the foreigners and monks were let in first, which surprised me, we all sat in a line. The monks were served first. Once you are called up, you hand over your receipt and confirm your name. You then have a photograph taken, finger prints of each finger taken and then you have to sign a bit of paper. You are then presented with you passport with the visa inside and you are ready to go to India!!!!! This entry was posted in backpacking, Diabetes, Embassy, Health, Myanmar, Visa and tagged can you get an Indian Visa in Bangkok, getting an Indian Visa in Bangkok, getting an Indian Visa in Myanmar, getting an Indian Visa in Yangon, India visa, Myanmar, Myanmar travel blog, south east Asia, travel blog, Yangon. Bookmark the permalink. Hey Alex! Thank you for your detailed description of how to get this visa. It allowed us to get trough this very same process very smoothly today! I’m happy it helped! I hope you had a great time in Myanmar! India is amazing, I am here at the moment but it takes a couple of days to get used to! Do you or anyone else know, where I can get that kind of photos in Yangon? Hi sorry for the late reply. If you haven’t already done this then apparently if you leave the embassy and take a right, then take the first right there is a shop down that road where you can get everything sorted, including photos and photocopies etc. The travel agency Gateway 71 Travel and Tours on 38th Street, No. 77 can take the picture for you and fill out the application form. It will cost 5000 Kyat and takes about 10 minutes. The agency is close to the Indian embassy. 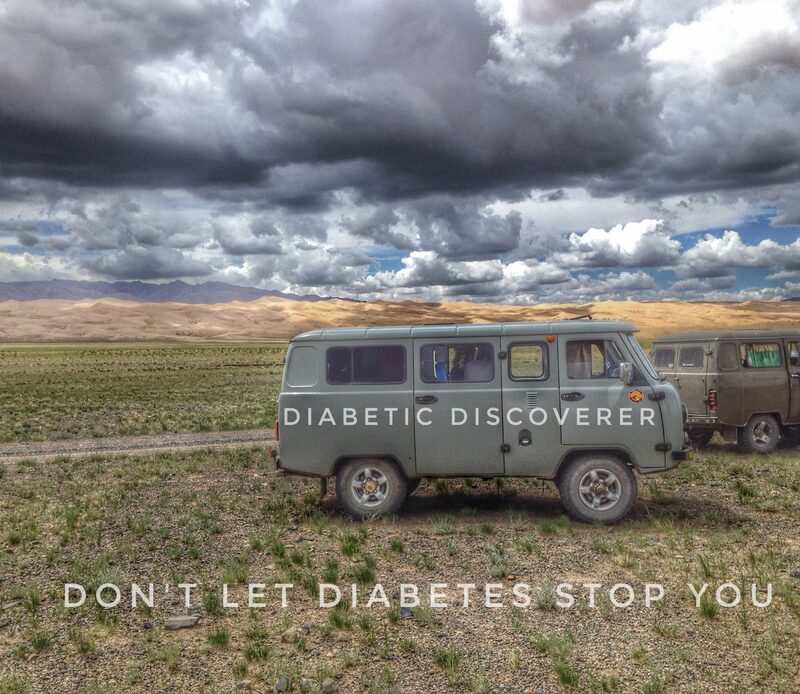 I didn’t have the experience that diabeticdiscoverer had. I came to the embassy at 10:50 am, so 10 min before it closes, they let me in and the whole procedure was finished in no time. Best of luck for everyone, who wants to apply! Thanks for bunch of info. Any idea why you need to have 2 empty pages in passport? I am going to have only one, which will be used for visa. I have enough space for stamps on other, non empty pages. I think the visa goes on one page and they want an empty page for the stamps, it’s just the rules and regulations. Some countries don’t care and will stamp anywhere but normally the countries that you need a visa for like their own page.